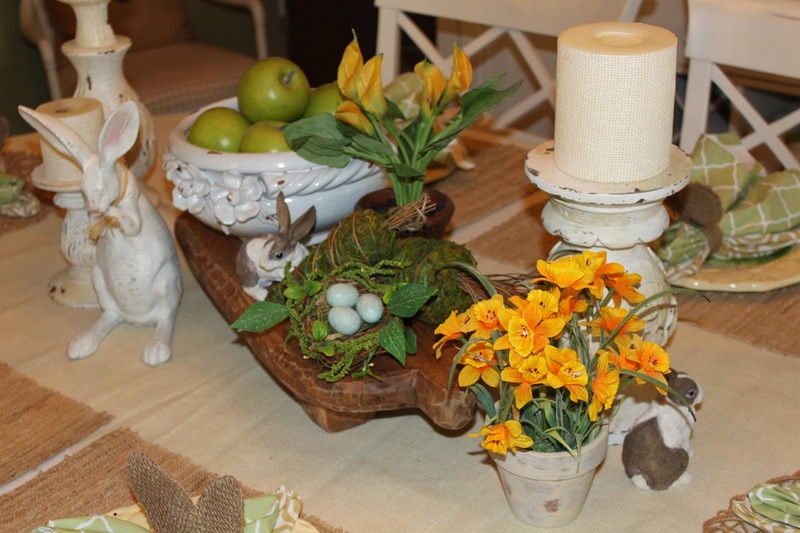 Our breakfast room is the room guest pass through when entering our home from the side porch. 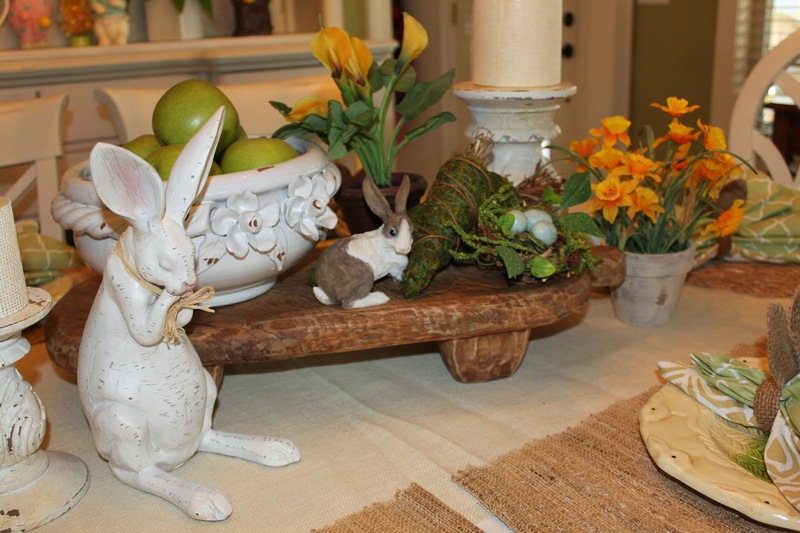 And since I like to keep holiday and seasonal decorating all clustered together in certain rooms, I like using this room to extend a warm welcome to family and friends, a nice way to say Hello Spring…..
Sweet vintage Rabbits and nested Robin Eggs along side green mossy carrots and perched on my favorite rustic wooden pedestal. 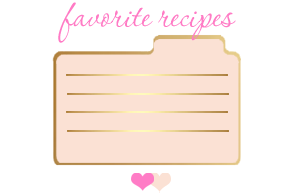 One of my "Favorites"…. 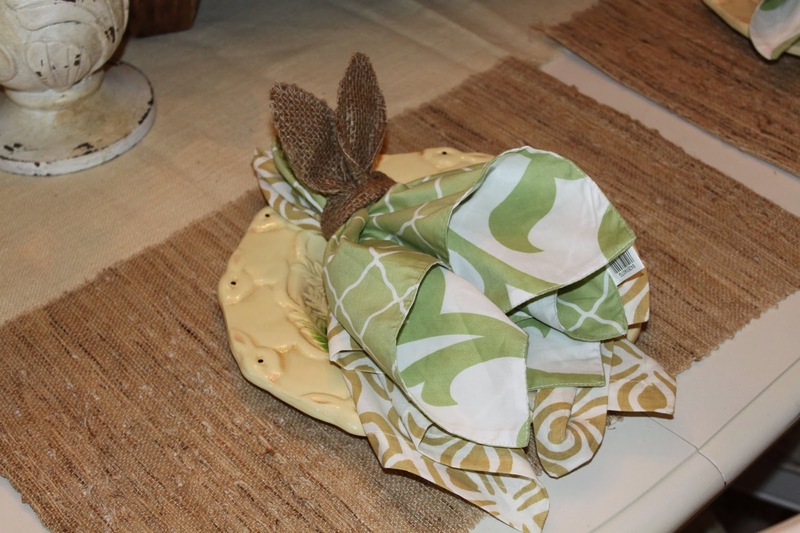 cute Burlap Bunny Ears napkins rings and rabbits running around the plate rims. 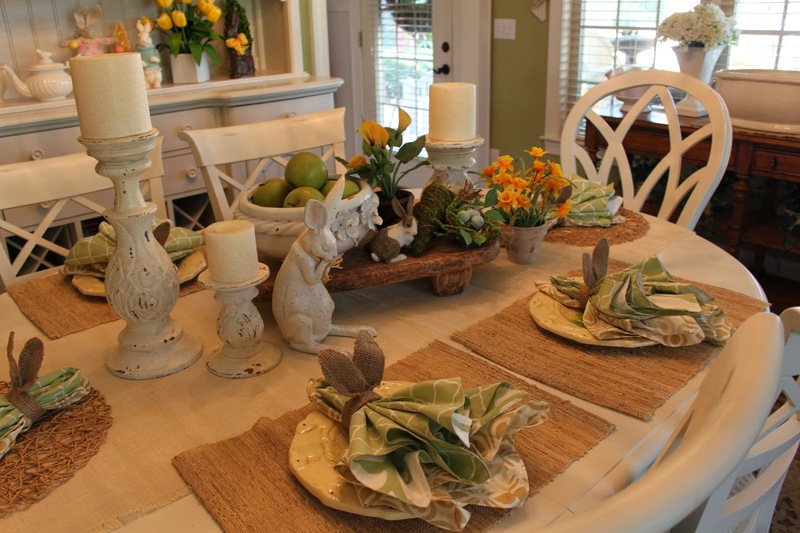 Charming touch with woven burlap placemats. 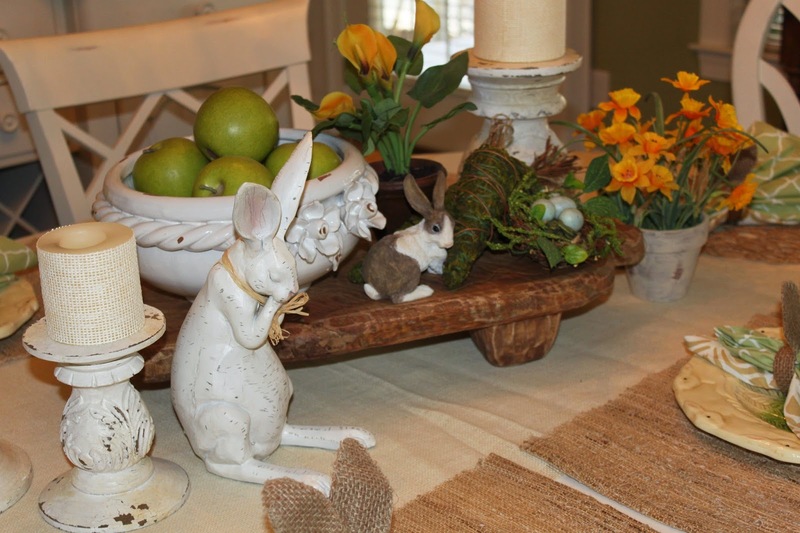 I used a natural linen burlap table runner and placed whitewashed wooden candlesticks with burlap covered candles. 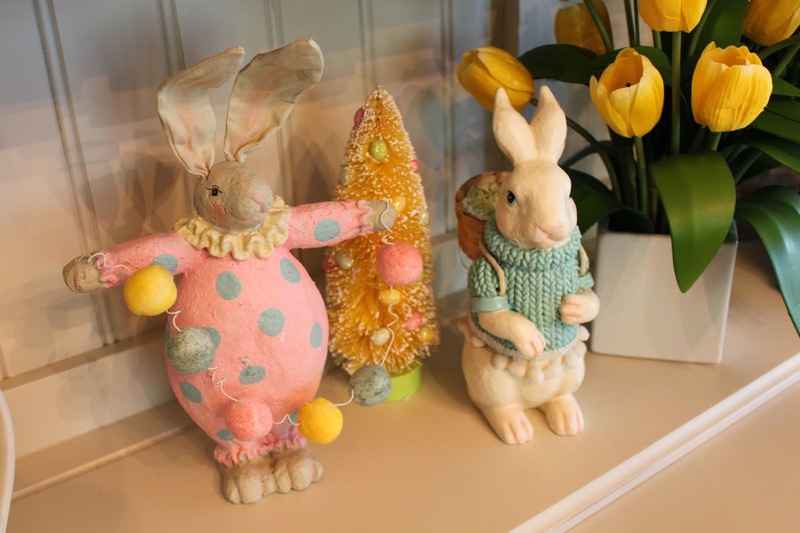 Love these sweet vintage style bunnies, charming and playful. 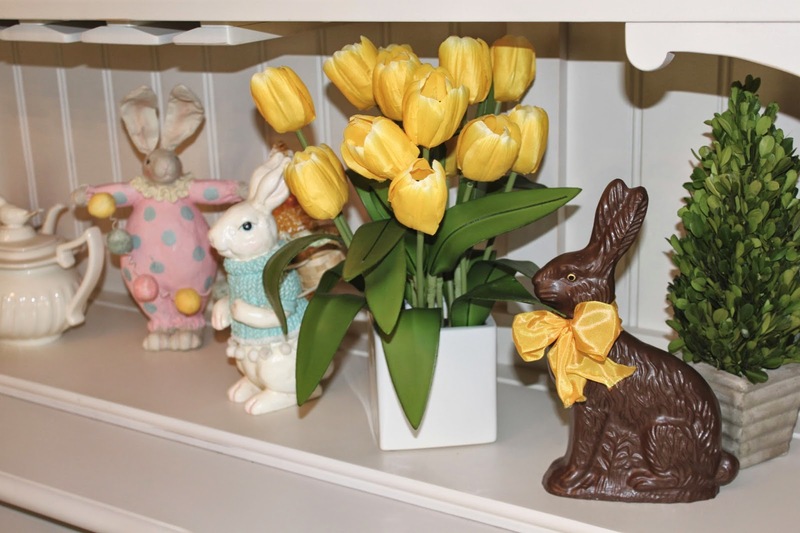 And it just wouldn't be Easter without a "Chocolate Bunny"….all fake but sure looks real. 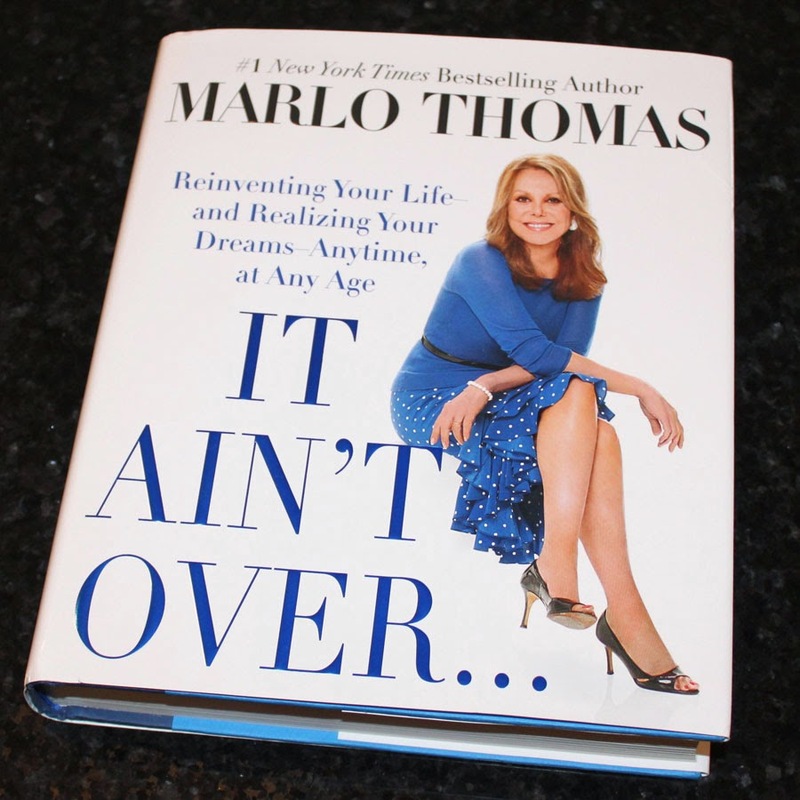 MY STORY…in Marlo Thomas Book, "IT AIN"T OVER"… TILL IT'S OVER". 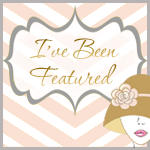 Excited to share, MY BIG SECRET, honored & thrilled. At last, it's finally REAL and now I can share it with you. 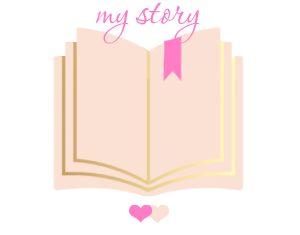 Last summer, I was contacted by a writer from Simon and Schuster book publishers and was told she was woking with a Best Selling Celebrity Author on a new book and the celebrity wanted to include "My Story" in her book. After three interviews it all "seemed" real however so hard to believe. Remember the pic of me that I made last year holding my paper straws. 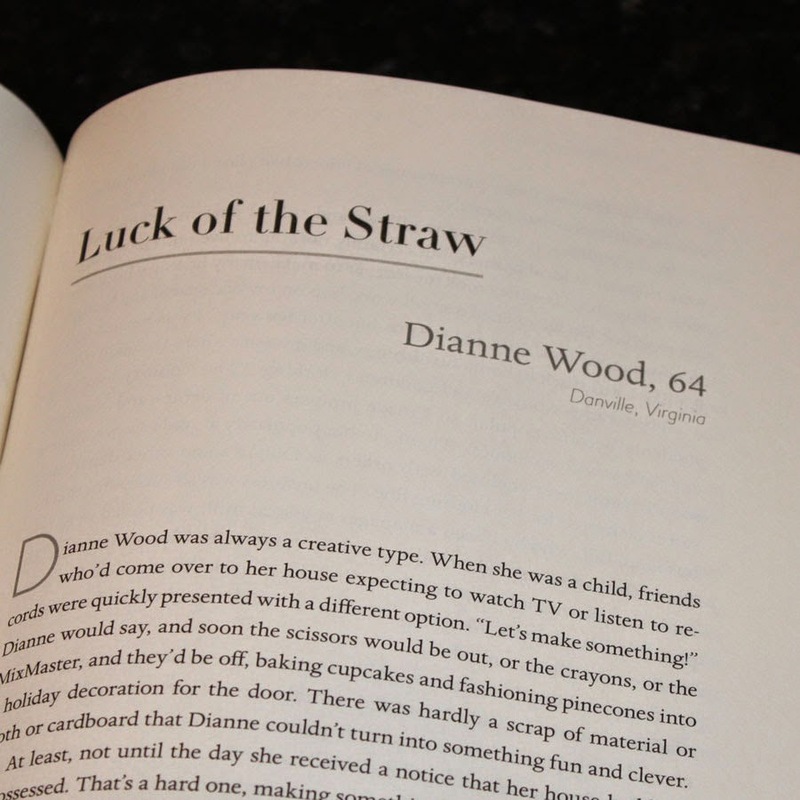 That was the reason for that picture, they ask me for a picture to include in the book. 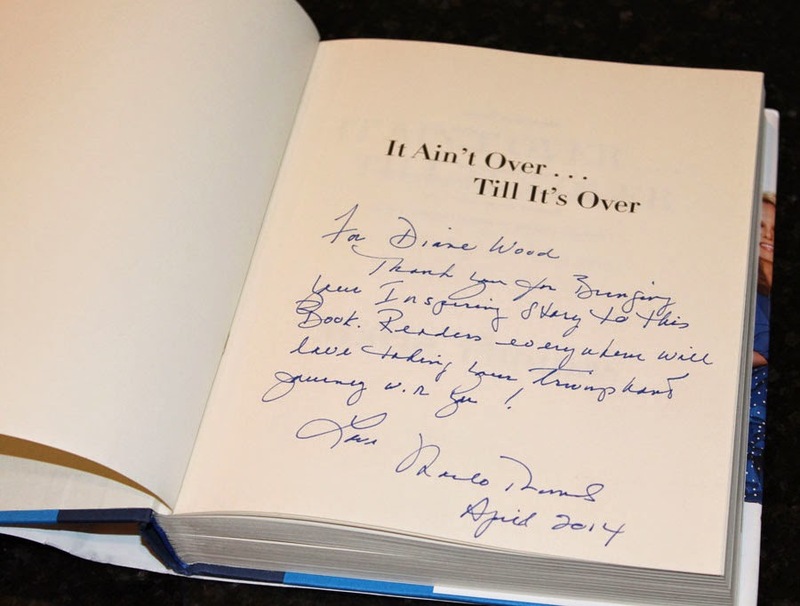 Then on Thursday of last week " IT ARRIVED"….THE BOOK….yes the book I've waited for months to see. 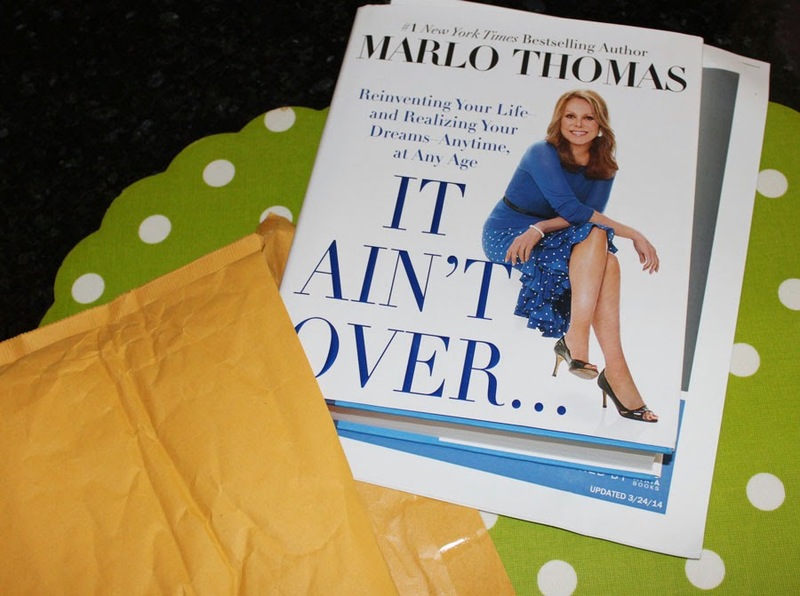 ( And I'm In It" )….my signed copy from MARLO THOMAS, New Book, ( "It Ain't Over….Tiill It's Over" )…..now in my hands and on sale in Book Stores on Tuesday, April 8th. 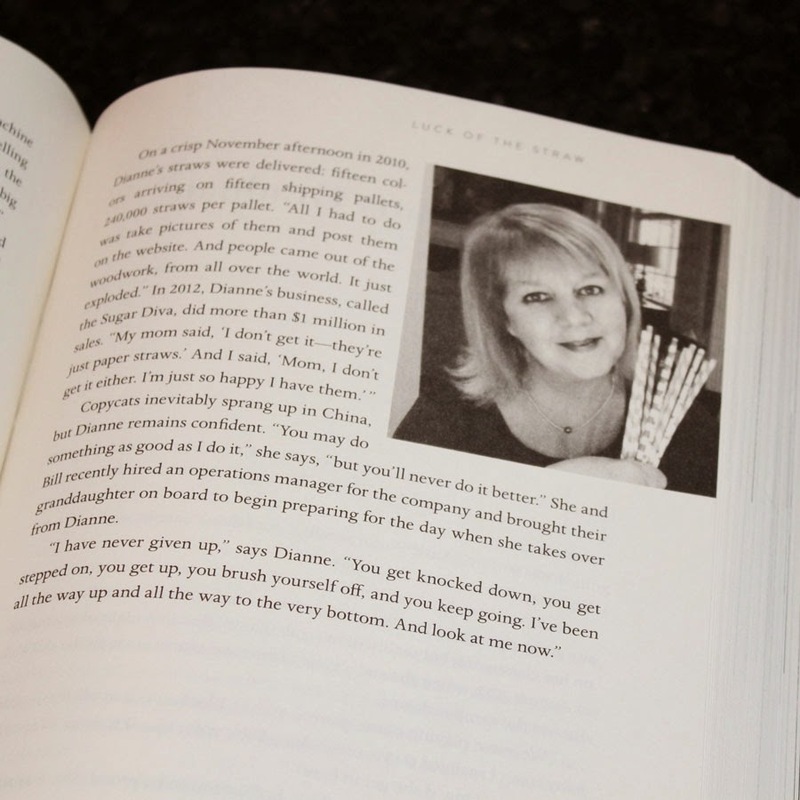 Her book is about 60 inspiring women who "Reinvented Themselves" and did not let failure, lack of confidence and other circumstances stand in their way. 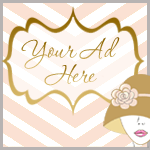 And I was chosen as one of those women. 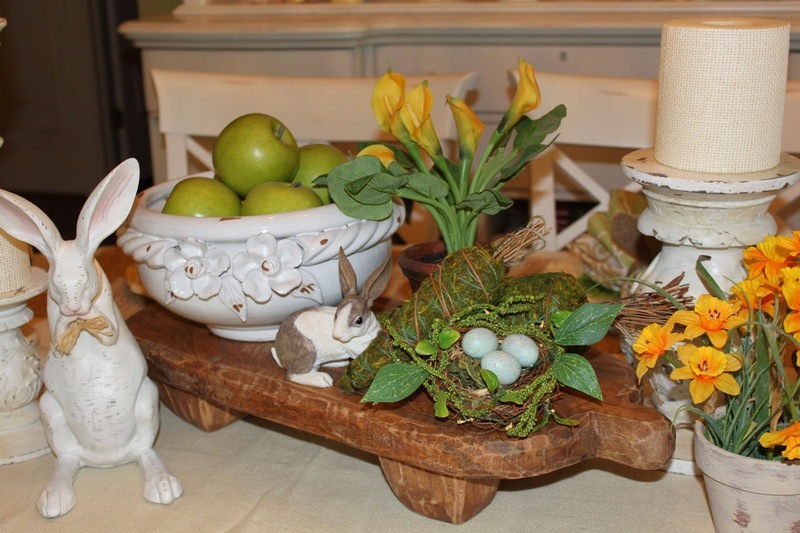 Bill and I have worked SO incredibly hard and have certainly had our share of ups and downs, however we always pushed through the tough times, got up after being knocked down and kept on going. 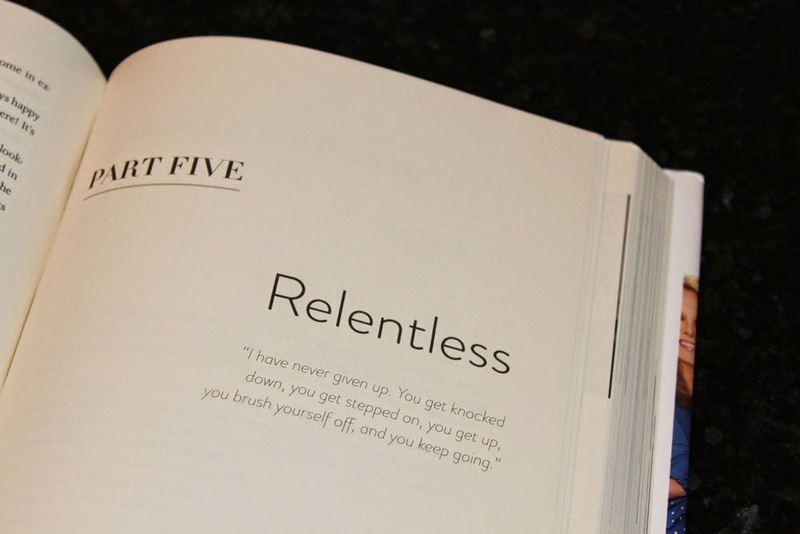 And those are "My Words" there under the chapter title "Relentless". When the book arrived, we both were so excited and then to read the story and to see "my picture" in Marlo's book, we cried. They were tears of joy remembering all the hardships of getting to where we are now. It was a tough journey, one that we took together, never gave up and here we are. Faith and love conquers all and we've always had an abundance of that. 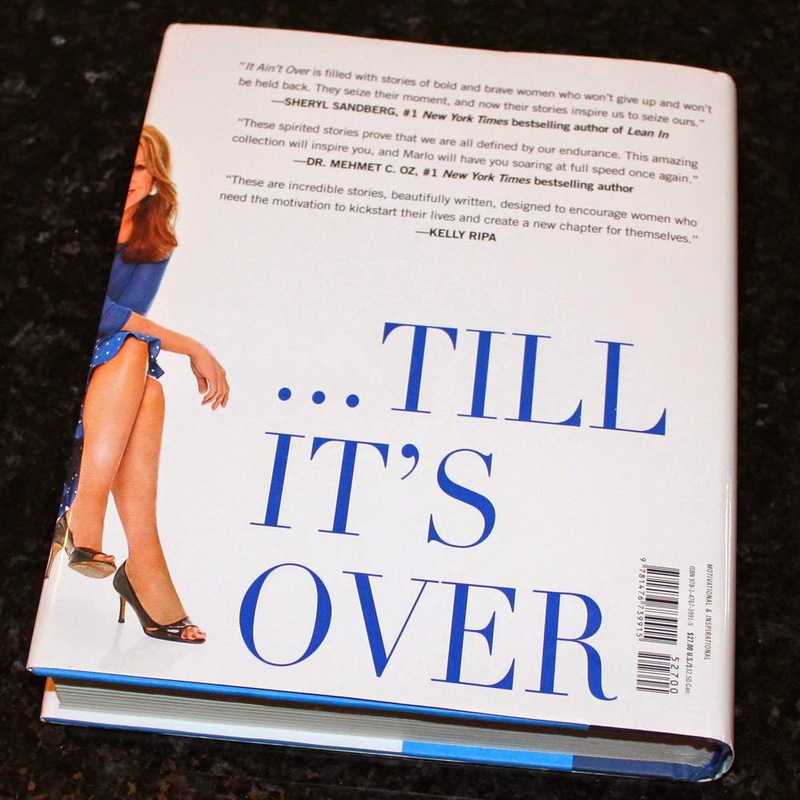 This is one of the most rewarding honors Bill and I have had in our entire business career and we're so happy to share this great news with you….hope you'll pick up a copy and read all the incredible inspiring stories included in this book. And here is my autographed and signed copy from Marlo. 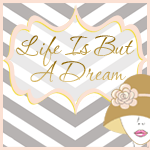 So as you've heard me say, over and over again, Reach for YOUR Dreams, don't let others rob you from the wishes and dreams in your heart…..HAVE FAITH, LOOK UP, DREAM BIG…..I did and you can too:) Thanks for reading, I'll be back soon adding MORE of MY STORY here on my blog……" A DREAM COME TRUE "